Macros. You’ve heard the term but what are they? What is this magical thing that is supposed to solve all your problems? While it might seem that “macros” are just a cheap excuse people use to justify their pre-workout pop-tarts, popularized by the “If It Fits Your Macros” camp, counting your macros is actually an extremely effective way to hit your body composition goals. But before we get into all of that, let’s look at what macros are and why they’re so important. The actual term “macros” is just a short way of saying macronutrients. Macronutrients are groups of nutrients that provide the energy your body needs to function. Your body uses them for basic functions, growth, and metabolism. You need a ton of different nutrients and macronutrients every single day to function properly. Macronutrients are divided into three main groups – proteins, carbohydrates, and fats. 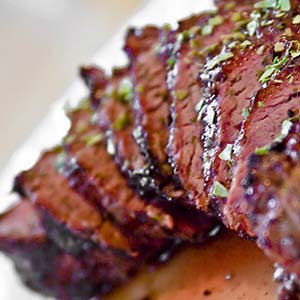 The favorite macronutrient of bodybuilders, athletes and steak aficionados, protein has seen a massive spike in popularity over the past couple of decades. This is because protein is the substance that holds you together. Without it, your body will literally begin to break down. Protein gives your body the ability to repair various tissue, like the muscle, bone, and hair. It is directly responsible for your body’s ability to build muscle mass. If your diet puts you in a calorie surplus, protein helps you gain muscle. If you’re in a calorie deficit, it helps to prevent muscle loss. Protein is hugely important for both fat loss and muscle gain. As a bonus, it also keeps you feeling full for much longer than both fats and carbs, so it is a must-have no matter what fitness goal you’re after. If you are in the first camp and trying to lose weight, you can see progress with as little as 0.5 grams of protein per pound of lean body mass (which is your total weight minus the weight of your fat). If you’re trying to gain muscle, you can get away with eating around 0.5 – 1 grams of protein per pound of lean body mass. I know, that seems extremely low and to be honest, it is. Keep in mind that this is the minimum theoretical amount and I don’t recommend it. When you keep your protein intake low, it becomes harder to create meals to make up the calories you need to put yourself in a calorie surplus (which you need to gain muscle). You either need to add more fat or carbs, which would be fine, but the meals just become impractical in my opinion. If you’re looking to maximize the benefits of protein on a fat loss diet, I recommend starting with 1 gram of protein per pound of lean body mass and working up to around 1.25 grams as you progress through the program. If your goal is to gain muscle, you can honestly eat as much protein as you want with no negative effects. Just be aware that there is an effective cap on how much protein your body can process a day, so eating 500 grams isn’t going to help you gain muscle faster than eating 250 grams. For practicality, I would start off with 1.5 – 2 grams of protein per pound of lean body mass. If you need to round out your calories for the day and want to have that extra piece of steak or chicken, then go right ahead. I saw awesome results when I did this. This is my favorite part. Meat… eat all the meat you can! But seriously, red meat, chicken, eggs, pork, fish, dairy, and protein powder are all excellent sources of protein. Here is my full list. Watch out for the “healthy foods” that are commonly listed as good sources of protein. Nuts, beans, and legumes actually do not have that much protein in them. Also, watch out for that “Protein Plus” cereal and pasta. Those are seriously garbage. Instead of legitimately adding protein to their products, they just change up the serving sizes to make it seem that way. Not cool. It still surprises me how many people believe the obsolete and misinformed notion that “fat makes you fat”. Instead of being your enemy, fat is actually a very important macronutrient that serves an integral part in your body’s normal operations. Simply put, your body needs fat to function. Fats have a variety of specific tasks around our bodies. The one we care about most here is hormone regulation. Fats help regulate hormones that control your blood pressure, inflammation and blood clotting, to name a few. Monounsaturated fats are found in nuts and high-fat fruits like avocados. They help lower cholesterol, fight weight gain and play an important role in reducing your body fat. Polyunsaturated fats are found in salmon, fish oil, seeds and soy. These are also known as Omega-3 and Omega-6 fatty acids. These fats are essential parts of your diet because they can’t be manufactured by your body internally. As such, they must be eaten via food or obtained through supplements such as krill oil. Saturated fats are found in red meat, dairy, and eggs. Sadly, saturated fats get a really bad rap. The truth is, in the right amounts, they are just as beneficial as their brothers. Their supposed links to heart disease and high cholesterol levels are wildly overblown. Saturated fats, combined with weight training, can help your body produce more testosterone, the holy grail of building muscle and burning fat. Bro King John Romaniello goes into even more detail about this process. Finally, there are trans fats. Now these are the true devil. Commonly found in processed, pre-packaged and fried foods, trans fats are extremely hard for your body to break down and do not have any beneficial nutritional value. If you see “partially hydrogenized” on a label, stay clear! How Many Fats Do You Need? Fats should make up about 15 – 35% of all calories you consume. I tend to trend on the higher side because I like fatty foods like steak. About 0.35 – 0.7 grams of fats per pound of lean body mass is a good range to stick to. Aim towards the lower end if your goal is to maintain a calorie deficit for fat loss. Carbohydrates (or carbs) come in two forms – simple and complex. Simple carbs are generally sugary and are found in foods like sugar, cake, candy, cookies, syrups and sodas. Basically Buddy the Elf’s entire diet. These carbs are excellent for post workout, especially when combined with protein. Complex carbs are found in oatmeal, potatoes, apples and beans. These carbs are known as the “healthier” carbs due to the fact the it takes longer for your body to break them down. Because of this, they do not spike insulin as much as simple carbs do and help keep your blood sugar low. Both types have their place in your diet. In general, eat the sugary stuff after your workouts and the bread and sweet potatoes during other times of your day. But that’s not 100% necessary. In fact, as long as you are hitting your daily macros, the decision between simple vs complex carbs doesn’t really matter. If you’re trying to lose fat, aim for 0.5 – 0.75 grams of carbs per pound of lean body mass. If gaining muscle, shoot for 1 – 2 grams. Remember that while you don’t technically need carbs to survive, they go well with the other two macronutrients for your meals. 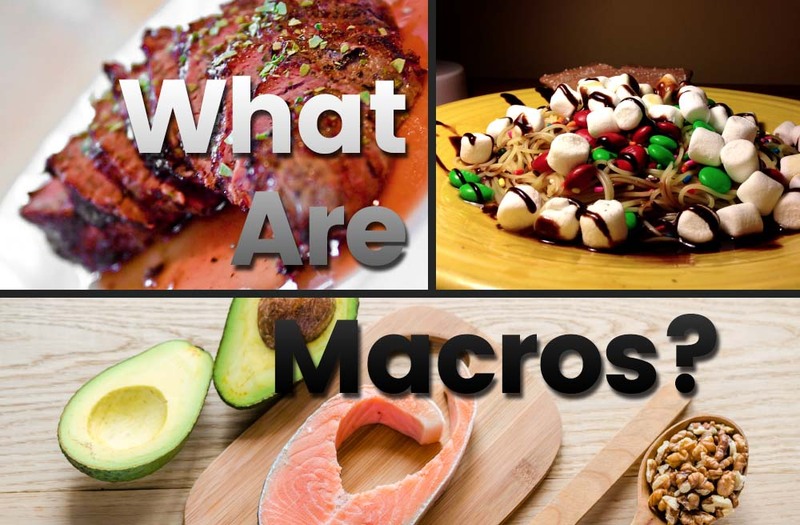 My goal for this post was to give you a better understanding of what macros are, in general, provide some insight into the three macronutrients and give you some general guidelines for how much you should be eating of each. If you’re ready to start tracking your macros on a daily basis, I’ve put together this complete guide to help you do just that. I'm a fitness nerd, US Navy vet, NYC celebrity trainer, and samurai. My passion is helping people lose fat, build muscle and become awesome. I'm here to help YOU get the body you've always wanted. WANT TO LEARN HOW TO BUILD MUSCLE AND LOSE FAT QUICKLY? No more lies or BS. I'll show you the workouts and nutrition plans that actually work.